It was wonderful to come across Helbar Farm Photography Gallery at Silverton the other day. Silverton by the way is about 25 kms north west from Broken Hill. 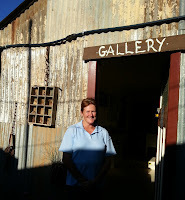 It was perfect timing as it gave me the chance to meet gallery co-owner and photographer Helen Murray who not only showed me around some of the farm and her gallery, but she told me about an upcoming exhibition this weekend. The gallery and surrounding lush gardens which form a mini oasis on the edge of Silverton will host a special photography exhibition which will feature the impressive work of Helen, together with the fabulous work of well known local Broken Hill photographer Boris Hlavica (who taught Helen photography). Up and coming photographer Ali-G's work will also be on display. It's a beautiful setting and I'm sure it will be a great exhibition based on what I saw of Helen's wonderful work, and what I've seen of Boris's work when I visited his gallery 'Images of Australia' in the past, I wish I could be there, but it was time to get back to Melbourne. 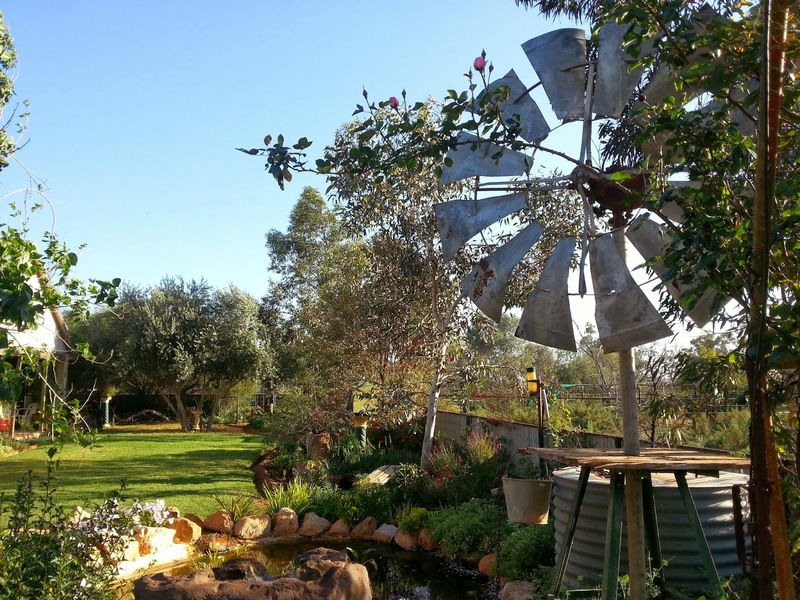 Helbar Farm Photography Gallery is located near Penrose Park Silverton. Just head to Silverton, look for the signs to both Penrose Park and the clearly signed gallery which is actually in Umberumberka Creek Road (Lot 10), turn right off Silverton Road (if you're coming from the Broken Hill direction). Why not take the chance to look around the other galleries, cafes, hotel and other attractions in Silverton and make a day of it. Silverton is a small place but there's a lot to see. Gallery opened today, Saturday 11am, and will also be open Sunday from 10am.